I've never been to Norway. I guess it's supposed to be like Minnesota, but with more fjords and trolls or something. But you know where I have been? Epcot. Which is kind of the same thing. Right? Yesterday, the Epcot attraction officially known as Maelstrom (more commonly just called "the Norway ride") carried its last visitors. The ride is getting replaced with a new attraction based on the smash hit Disney movie Frozen. I guess because snow. Oh, and vertical integration. The Norway ride took you through some bizarre version of Norwegian history and mythology. You'd float past audio-animatronic vikings, scary three-headed trolls, and enormous oil rigs. Eventually you'd be dumped into "modern Norway" and an auditorium where you could watch a movie made in the 1980s about how great Norway is. Epcot nerds all have different opinions on the closing of the Norway ride. Many, like myself, are a bit upset to see a beloved ride from our childhoods close down. Others invoke Walt Disney's famous words about Disneyland (the one in California, since he didn't survive to see the one in Florida built): "Disneyland will never be finished." The implication being that we should never feel bad when a Disney attraction gets a reboot — that's what Uncle Walt would've wanted. Outsiders, if they care at all, are no doubt just happy the Disney-fication of some strange experience is dead. Because Disney's version of Norway was about as representative of the country and its culture as anything else Disney does. Which is to say, not very accurate at all. But does that matter? The closing of this ride is causing me to confront a strange aspect of my childhood, and I guess the way that I view the world overall: most of my experiences in life have been hyper-real imitations of the authentic thing. Which isn't so much an existential crisis as the logical conclusion of 20th century consumer capitalism. As I said, I've never been to Norway, but a quick exploration of 1970s and 80s futurism will show you that this wasn't supposed to matter by now. The past is littered with predictions that the future would be filled with simulated experiences that make geography and history itself irrelevant. You don't need to look much further than the pages of The Futurist magazine or the 1973 film Westworld. Even many predictions for TV in the 1930s envisioned that broadcast media would make travel unnecessary and rather silly. The future could take you anywhere. The future could make you feel anything. And in a 21st century world filled with theme parks like Epcot, the mainstream celebration of cosplay, and the [re-]emergence of virtual reality technologies like Oculus Rift, many versions of those futures feel as close as ever. 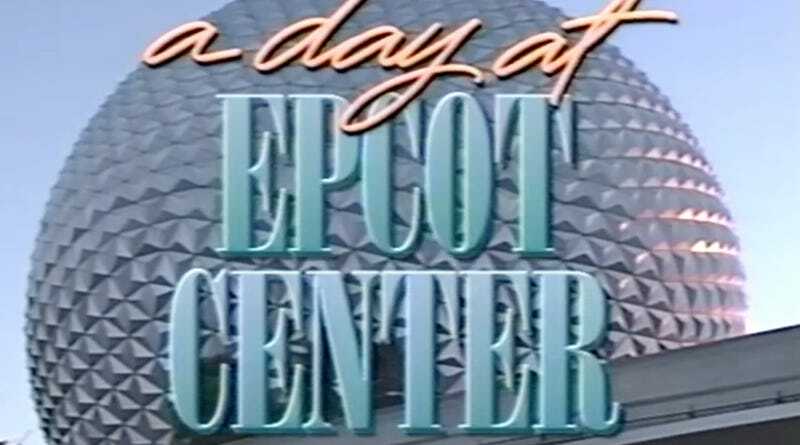 But where does that leave my Epcot-addled mind? A mind shaped by regular visits to the theme park. The World Showcase portion of Epcot is in some ways a version of that simulated future we were all promised. The "permanent World's Fair" aspect of Epcot allows millions of people each year to walk through eleven different countries over the course of an afternoon. Most people throughout history have had "fake" experiences with different places, whether that's through books or movies or really mass media of any kind. But today, the possibility for full immersion is greater than ever. And we might need to ask ourselves what that does to our understanding of the world. My first experiences with 1) a subway 2) San Francisco and 3) an earthquake, were all fake versions of each at a theme park in Orlando. It was called Earthquake: The Big One and the Universal Studios ride gave 10-year-old me a taste of things that I wouldn't feel until a decade later. And in the case of an actual earthquake, two decades later. For the record, a real earthquake is much scarier than a simulated one. But the fake San Francisco subway was pretty much spot on, save for the smell of feces. Should any of this matter? Do we care that video games like Call of Duty will be the closest thing future politicians sending kids off to war will ever see resembling combat? Or that Epcot's versions of Italy or Japan are mere caricatures of the real thing? And perhaps more fundamentally, is a simulated experience (however warped or imperfect) better than no experience at all? For the American middle class, a family trip to Disney World is kind of like a pilgrimage. You're expected to go at least once. But if you can't make it, you can be granted a special dispensation by praying at the altar of your local Disney Store and buying the special edition of Finding Nemo on DVD. But for those who can go (as my family did) you're expected to sop up as many robo-presidents, simulated Californias and even faux-futures as possible. And it's all fun as hell! But perhaps it's also the dystopian version of wholesome hedonism that's just one big joke on America's collective subconscious — a place where history, futurism, and geography are all turned into upside down parodies of themselves. Frankly, I'm not sure how I'm supposed to be feeling about the death of Maelstrom, my ersatz Norway. I'm mourning the demise of a theme park ride that purported to present the history and mythology of a country I've never bothered to visit. It was a simulation of reality that I will never get to experience again. So I guess now I'm stuck with having to actually visit Oslo. I just hope it has three-headed trolls.